Jody Theissen is a mom, Yoga Teacher, Musician, Song Writer, friend, human being. She resonates mostly with Human Being as when she is in that state of awareness everything just flows from there. 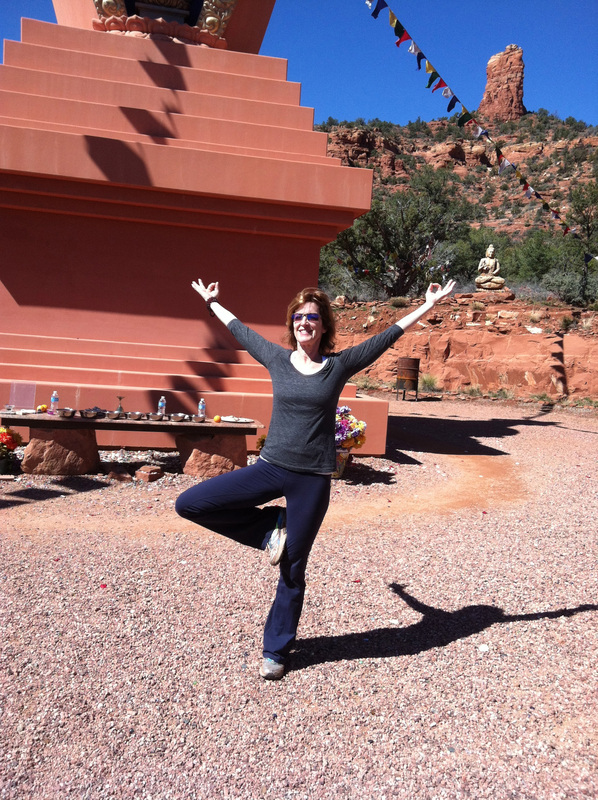 As far as yoga, Jody is now on her 6th year of teaching. She trained with Cloud Nine Yoga and has continued her studies in Thai Yoga Therapy, Kundalini, Yin and Restorative Yoga, Meditation Techniques, Sound Therapy and Spritualism. Jody is a powerful sound healer as I know, I take weekly classes with her. I love this interview into Jody’s insights regarding mindfulness, awareness and living moment to moment. Stay tuned until the very end where you’ll hear and receive a special sound healing from Jody! Most Important Thing to Know About Jody-She’s a human being just like everyone else, allowing things to move & stepping into life’s current with the miracles that are always there. In the last eight years, she helped hundreds of people to start successful businesses. She built a powerful online presence at Escape from Cubicle Nation, a site designed for corporate employees who wanted to make the shift to entrepreneur. 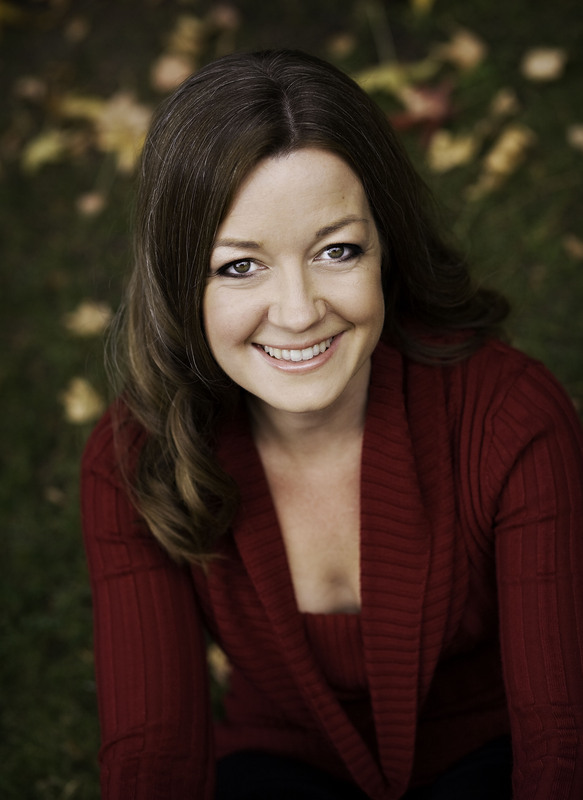 At Escape, Pam developed and taught business building courses for thousands of entrepreneurs. We talk about her new book, Body of Work, Finding the Thread that Ties Your Story Together. We talk about the brilliance of finding your creativity in your work, wherever you work. It’s not all about entrepreneurship. She shares some great insight on Focus, Purpose, Creativity and so much more. This conversation will inspire you to create your story in your work and life to be an influence with intention. Your story & how you are living it really matters! Surprising Fact About Pamela- She’s not as busy as she looks. Her pace of life is slow and not hectic always producing kind of life. Most Important Thing to Know About Pamela- People Matter and Ideas Matter. People can and do make significant change in the world, it is possible. There is a positive way you can make a change and make a difference to others with your own life. http://traffic.libsyn.com/inspiredconversation/Nada_Jones.mp3 Nada is an entrepreneur at heart and thrives on helping women identify and actualize their dreams. She’s passionate about using ltd as a platform for change. Nada is convinced that we all have a dream, something we feel we were created to do, something we want to offer the world; all we need is the space to create it, the inspiration to believe it, and the tools to do it. ltd365.com was created for this very purpose; helping women create space in life for their ventures, inspiring and motivating them with stories of success and providing them the tools they need to make it all happen. ltd stands for LIVE THE DREAM 365. Having spent the last 14 years working with entrepreneurial women, and launching a few businesses of her own, Nada knows a little about starting and growing a business. With all that experience and a real desire to help women pursue their calling, she created ltd as a multimedia platform for women ready to “start something”. She started ltd to connect women to the best people, tools, tips, communities and organizations that will move their ventures (and their lives) forward. Nada is also a wife and mother of 3 amazing kids and if that’s not enough, She’s a co-author of Sixteen Weeks to Your Dream Business: A Weekly Planner for Entrepreneurial Women and she’s also creating opportunities for women in developing countries to launch their own entrepreneurial endeavors. She launched the Dream for a Dream program. Giving a portion of ticket sales from ltdLIVE to help disadvantaged women change their lives. The ltd brand is committed to being the resource for women launching their dream businesses and their dream lives, no matter where they are from! This interview leads us into a conversation about being an entrepreneur, making big decisions when life happens and the opportunity to put business on hold to serve family. I know you’ll be inspired by Nada! Most Important Thing to Know About Nada- She’s really here to help other women move their own personal needle forward. Jessie Simonson is the Brand Director, for 31Bits. 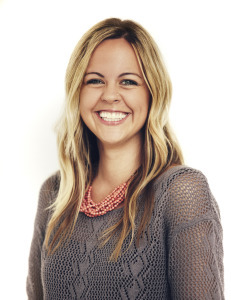 She is the art director, story teller, and energizer bunny. If she isn’t by her computer or starting another project, you might find her at Peet’s Coffee drinking coffee like it’s water. She’s late to just about everything because she stops to chat with just about everyone. 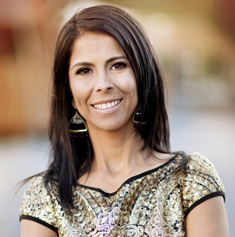 She graduated from Vanguard University with a degree in Cultural Anthropology. From road trips to cruises to campgrounds, she loves traveling. She’s convinced if her plane ever crash landed in the middle of the ocean, she would survive using her ability to float on her back for hours. 31Bits business model is to empower people through the fashion industry. Working with beneficiaries in Uganda to create fashionable, quality products. They earn an income enabling them to provide for their families. 31 bits care for them holistically through counseling, health education, finance training, and business mentorships. After five years in the program, the beneficiaries are ready to graduate. A graduated beneficiary has her own business and is educated, healthy, and confident. She is empowered. And guess what? Everything 31Bits does is funded through product sales. That means every time you make a 31 bits purchase, you have a direct impact on women’s lives in Uganda! You’ll find this conversation inspiring you to do something outside yourself to make an impact on the world. And if it doesn’t go shop at www.31bits.com you can make a difference with a purchase! The Bible, uplifting time in being in the word and reminds her she’s here for a bigger purpose. She’s defined by Jesus and something bigger not defined by her job and company. Instagram (31bits) great way to connect with different companies and organizations through liking each other and follow brands you love and are inspired by. Her identity in Jesus, confident she is alive for something bigger, her faith gives her confidence. Goal is to live a life of love and care about people around her. Keeps a list of peoples names who she meets around town so she can be connected with them. A way of getting to know people around her and stay connected to community. Always looking outward and remaining outwardly focused. Somebody to remember their name, cares and loves them and she aims to continue to live into this way of work. People to have a sense and Feel love and purpose in their lives through her connection. 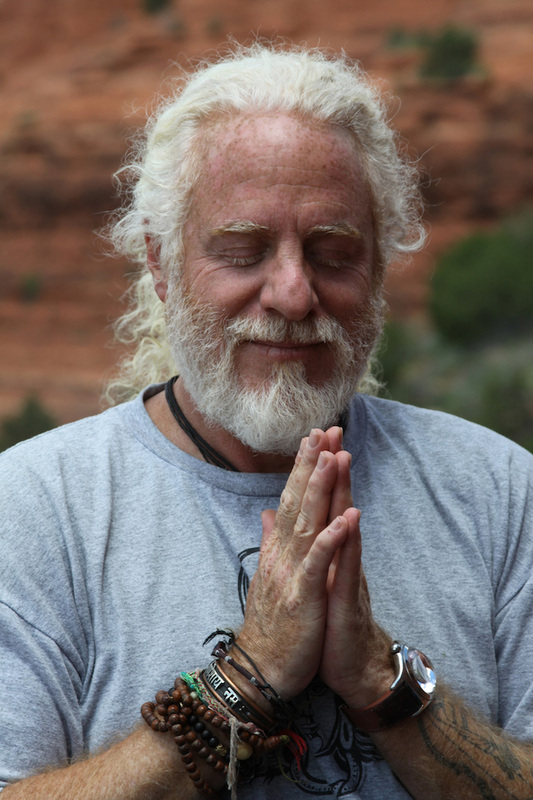 davidji is an Internationally recognized meditation teacher, stress-management guru, a certified Vedic Master, public speaker, and the creator of hundreds of guided meditations, including the critically acclaimed CD davidji: guided meditations. He is also the author of the award winning Secrets of Meditation: A Practical Guide to Inner Peace & Personal Transformation. His teaching style is a unique fusion of timeless wisdom and real-world practical application. If there’s one book to read on moving through challenges and taking your life to the next level, it’s Secrets of Meditation! This conversation gives you a peak into davidji’s daily practice and some incredible meditation tips! We talk about making conscious choices, how meditation is the pause, the pattern interrupt our mind needs to reboot and become even more accessible for a beautiful life. This conversation will serve your spirit, I know this for sure! Ever wondered why he’s called davidji? He reveals the source of his name in this conversation! Most Inspiring Book- Changes often! 100 free guided meditation on his website. Messages about de-stressifying. Honor relationship with yourself. 100 videos how to help yourself, emotional healing. What you see is what you get and who he really is. He’s really close with his dad who lives in FL. Reconnected 10 years ago and before that he wasn’t in touch with him for 15 years. After a beautiful process of reconnecting they are very close now. We are all going to die and the clock is ticking. Reconnect with loved ones if you haven’t already. He’s not the guru he’s just a guy. He’s a friend who can help people connect to the best version of themselves. 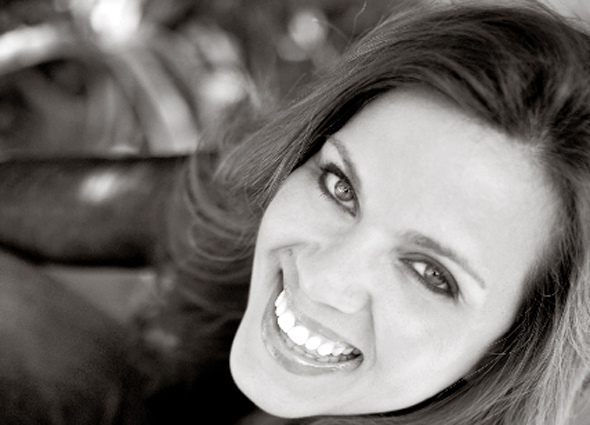 Dr Wider is a nationally renowned women’s health expert, author and radio host. She has appeared on The Today Show, CBS News, Fox News, and many others. Dr. Wider is a medical adviser to Cosmopolitan magazine and hosts a weekly radio segment on Sirius XM Stars called “Am I Normal?”. She has been heard on Bloomberg Radio, Howard Stern, Oprah Radio, WABC-AM Talk Radio, among many other stations across the country. She’s phenomenal and I love this conversation about women’s health, insightful and so informative! You’re going to love her energy! 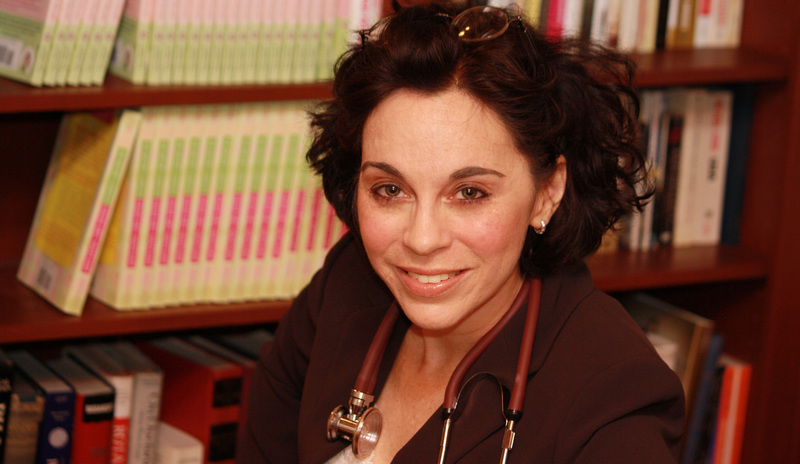 Dr. Wider is the author of four books, including The Savvy Woman Patient, The Doctor’s Complete College Girls’ Health Guide, The New Mom’s Survival Guide and Got Teens? The Doctor Moms’ Guide to Sexuality, Social Media and other Adolescent Realities with Dr. Logan Levkoff. Dr. Wider is a spokesperson for the Society for Women’s Health Research, the nation’s only non-profit organization whose mission is to improve the health of all women through research, education and advocacy. Most Important Thing to Know About Dr. Wider- Dedicated her career to help women empower themselves. Get info from a source that is not profiting from the information. Find unbiased information that is out there. Get info from societies out there that are not profiting. 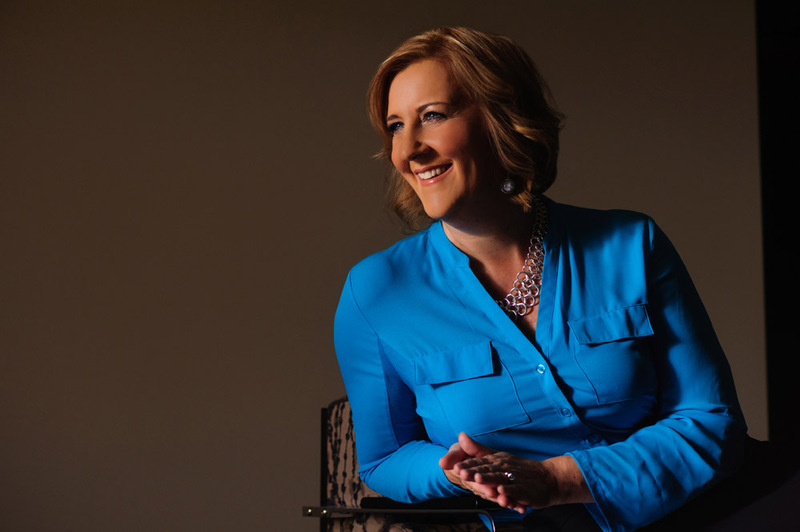 Sandy Abrams made her dream come true when she had an “Ah-ha” moment for a beauty product idea and turned it into a multi-million dollar company. A self-taught entrepreneur without a business background, Sandy had the passion and persistence to roll up her sleeves and learn on the fly. After years of sweat equity building her business, she turned her naïveté into success, experience and savvy. Her signature product, Moisture Jamzz Moisture Gloves and Socks quickly became a top-selling accessory in the beauty/spa industry.After years of helping people turn their ideas into reality, Sandy published her first book titled Your Idea, Inc. and put her inspirational, motivational advice and anecdotes into this entrepreneurial guide book. Her casual, conversational tone feels like a best friend who has “been there, done that” and is now sharing her wisdom…and her mistakes! You’re going to love this conversation! Most Inspiring Book- Quote Books – Book of Positive Quotations and Awaken the Giant Within, Tony Robbins. Little Inspirational blurbs can change her mood. Loves to cook and eat and following some amazing food bloggers. Surprising Fact About Sandy– She is a super strict parent. More important to be a mom then a best friend. We all have challenges juggling everything. She hopes to help and inspire people in following their dreams. Hope to inspire in her success and her challenges and in sharing her stories. Everything she’s done she’s worked hard for and there are obstacles and challenges. Everyday stay positive and have a fresh perspective, fresh energy and things will turn around. Keep clarity with your goals and dreams. When you visualize and write them down they will happen. Dina Proctor has turned her journey into a mission – She’s a mind-body connection coach, speaker, and best-selling author of Madly Chasing Peace: How I Went From Hell to Happy in Nine Minutes a Day. Dina’s passion is showing people how simple meditation can be, how easy it is to fit into even the busiest days, and how practical and possible it is to transform your life in 9 minutes a day. Just over 4 years ago she hit an emotional rock bottom, struggling with alcohol addiction, food issues and suicidal depression. She felt like she’d tried everything possible to fix herself and nothing worked. Today, she’s found a consistent happiness (little known to most people!) and she has turned it into a simple, practical method for others to change their own lives. Quite unintentionally she created what she calls “3×3 Meditation” (3 minutes, 3 times a day), which has been the catalyst for her own (and now her clients’) transformation. From weight loss and banishing addictive cravings to reconstructing relationships, this easy and yet incredibly effective method has caught the attention and support of Jack Canfield and Bruce Lipton, among others, as well as the media. 3×3 meditations, 3 minutes 3 times a day! Most Important Thing to Know About Dina- She’s a grounded gal, a part of life, not very ethereal, she loves life! Internationally acclaimed poet, Author, novelist, translator, mystical scholar and spiritual teacher and founder, director of the Institute of Sacred Activism. 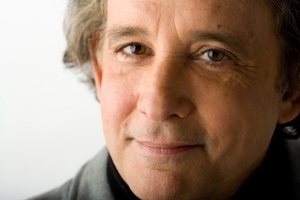 In this conversation Andrew Harvey and I talk about his book, The Hope, A Guide To Sacred Activism and about the dark night of the soul that is happening on a global scale right now. Andrew Harvey’s wisdom is deep and vast, this conversation is illuminating. He also shares about his own spiritual practice and how it changes for him. Get ready because I know it’s going to spark your heart and ignite your soul! Most Inspiring Book- Rumi is his greatest inspiration. It’s where he bathes! Best Resource- His beloved cats. A very holy relationship, being home is being with his cats, loving them, cuddling them and having the wordless holy love. He can’t imagine being a human being and not being awake to the kind of holy love animals bring. Surprising Fact About Andrew- He’s funny, loves to dance and love life. He lives in a state of joy and acceptance despite the seriousness of the work he does.To face all this and stay sane and be kinder and saner and more in life and more focused on your true life’s purpose. He’s not awakening to a nightmare, he’s awakening to extraordinary birth and possibility in the middle of the nightmare. Most Important Thing to Know About Andrew- That he’s in progress, he’s not finished, any wisdom he has is what he knows now and tomorrow he might be given wisdom that changes everything he’s ever said, he’s on his knees in this transformation, he’s not an expert in it he’s a patient recorder of it and wants to share it with his friends and brothers and sisters. Experience his heart through Rumi, The way of Passion, become drunk on Rumi and amazing things will change for you! The Michelle Ghilotti International way is the no apologies path to branding yourself or your company. For 12 years now, trotting around the globe with experience derived from working with brands such as Nike, adidas, Starbucks and got milk?, Michelle and MGI have been supporting women make happiness their business by creating their authentic brands. Michelle has been a part of the branding success of companies big and personal. 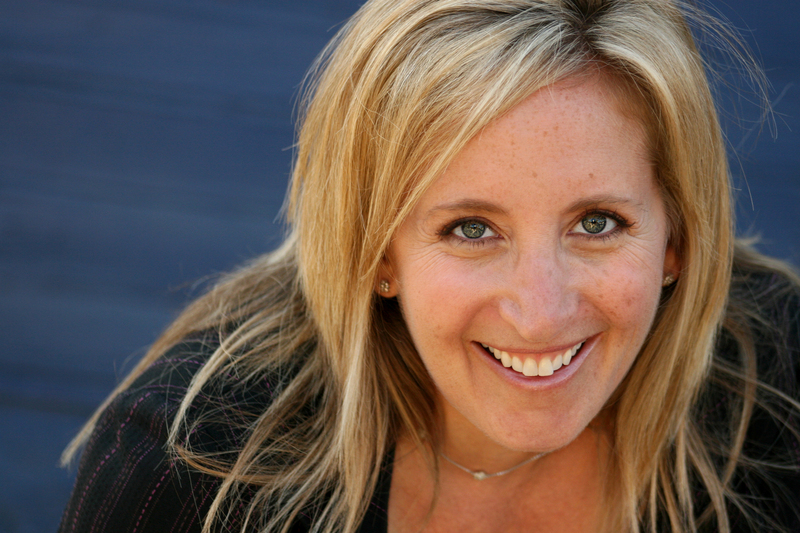 Whether Nike events or small business design, Michelle has helped companies and countless women gain brand clarity and has delivered logos, visual identities, advertising campaigns, taglines, websites, brand stories, event ideas and so much more. In this conversation Michelle and I talk about being authentically ourselves, as women in our business and life. It’s really the happiness factor, bringing more joy and love to everything we do and being who we really are. I love this conversation and I know you’re going to glean an insight or spark of wisdom that might just change the way you are being in the world right now! Best Resource- Oversized 3M post its. Uses them to create muscle memory with mantras or intentions or a word. She post them everywhere. Keeping the truth of life and magic top of mind. Surprising Fact About Michelle- She’s spontaneous in business and in life. Thinking about expanding her family and is inspired to maybe more to South America to have a baby. Most Important Thing to Know About Michelle-Comes back to love. Works everyday to infuse love. She’s all about love. In work, in family. She wants everyone to take away that there is always room and time to give love.We always have time to infuse someone else’s life with love so then we can infuse our lives with more love and happiness.